Love for pets and the satisfaction you derive while working and caring for a pet is something only true animal lovers can relate to. Caring for own pets may be considered a hobby. Take a step further and translate this trait into a successful, lucrative career. 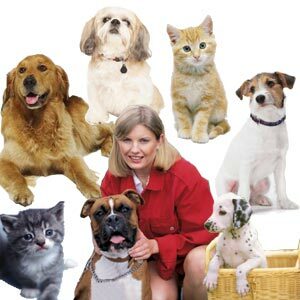 Today, pet sitters are in great demand and pet sitting service is a booming, thriving industry not only in USA but other parts of the world as well. The pet-sitting industry has a demand for full time as well as part time pet sitters. In fact, if you choose to escape from the rigmarole of a time-bound, target-oriented career, you can start your own pet sitting business. By doing so, you would be part of a home-based industry worth $40 billion dollars. Find out more about pet sitting day care. Get acquainted with >pet sitting and boarding facilities. Over 63% of all American households in USA own one or more pets. According to a recent survey, pet-related sales, both products and services are likely to touch $40.8 billion in America this year. This means a record 6% increase as compared to last year. Much before pet sitting acquired its present standing, pet owners during their absence had little alternative, but to rely on neighbors to water and watch their pets. The other option was to drop the pets at kennels. With the concept gaining wider acceptance, pet owners prefer pet sitters to care for a pet rather than impose the responsibility on family members or friends or opt for kennel boarding while traveling. Pets are happiest at home. Eliminates travel stress. Customary diet and exercise is maintained. Pets feel secure in familiar surroundings. Absence of health hazards that is common in pet kennels. Restricting exposure to fleas and illness. Pet sitting services are economical compared to kennel care. No need to disturb family members, friends or neighbors. Pet sitters offer bonus services apart from pet caring. Across the world, professional pet sitters offer diverse value-added services apart from providing company to pets such as in-home grooming, dog walking, dog training and play time. Client not at home: During such times, when the client is vacationing or on a business trip, the pet sitter visits the client's home as many times as required. The frequency of visits, the duration of visits and chores to be performed are determined after due consultation with the client. Dog walking services: Elders, sick people and disabled persons who own pets seek the services of pet sitters to provide dog-walking services. This would ideally include a walk through the neighborhood in the morning and evening walk daily or on pre-agreed days, say 2 or 5 days a week for specific duration. It can also include a regular exercise regime for the overall well-being of dogs. Pet sitters may also include jogging, running, inline skating, bicycling or dog scootering as part of dog walking service. Other pet services: include bringing a pet taxi to and after visit to a vet, supply pet food, run errand services for the sake of pets, pet photography and pet grooming services. A career that involves caring for pets can't be chosen as an alternative employment to escape from the fast-paced corporate world or the flexibility it offers. The driving, underlying factor is passion for pets, the pleasure of being with pets and the ability to be patient, loving and genuinely concerned for pets. As a professional pet sitter, you should be able to extend best per care through quality service at an affordable price, assure security to pets and client's home, ensure peace of mind to clients and pets. Take a look at the traits that are considered very important when pet owners select pet sitters. No degree, no certificate, it is dedication and just pure love of animals that clients look out for. People who are passionate about pets and are looking to work as pet sitters must spend some time in getting educated about pets, through books, workshops or working in animal care centers. As a pet sitter, you will be traveling to the client's place for fixed hours or during particular time once or twice a day. Feeding the pets, walking and playing with them are part and parcel of a pet sitter's responsibility. To have an edge in the pet sitting industry, it helps to specialize in certain breeds or types of animals. You could decide to be a full-time or part-time pet sitter employed by a pet sitting organization or you can choose to own a pet sitting business. Income generation is decided by number of factors. Quality of service vs. client's payment.